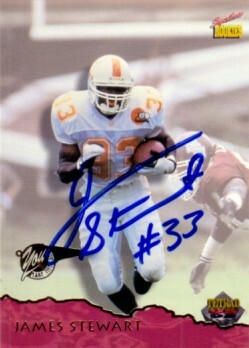 1995 Tennessee Volunteers football card autographed by former star running back James Stewart, who later starred for the Jacksonville Jaguars and Detroit Lions. Obtained in person. With certificate of authenticity from AutographsForSale.com.